I can’t even believe I’m already over 38 weeks and baby #2 could be here any day now. The last 5 years it has always just been Harper! It kind of just hit me that she'll actually be an older sister and I will have two kiddies in our household. Side note: did I mention our new home was delayed, so we are currently residing in a typical Toronto-sized condo at the moment? We have our fingers crossed that we get a confirmed move-in date soon! Needless to say, despite having the baby’s clothes stored in a large Adidas gym bag beside the bassinet in our bedroom, we are going with it … and I’m confident it will be OKAY! Who am I kidding? I am worried AF about how it’s going to be with baby #2. I literally forget everything and truth be told, I don’t even have an infant car seat yet. That’s on our to-buy list this weekend. I dusted off some old books from when I had Harper and started reading them again to try and refresh my memory about what to expect. But from speaking to other mommy friends, having baby #2 is a whole different ball game because you also have your first to think about too! With that said, I asked some amazing IG mama friends who have been in my exact shoes to share some advice on what to expect when expecting #2. So, if you’re also expecting another bundle of joy, this article is for you. Don’t worry – we’re all in this together and I’m sure there is enough coffee and wine (when it’s time) to go around! 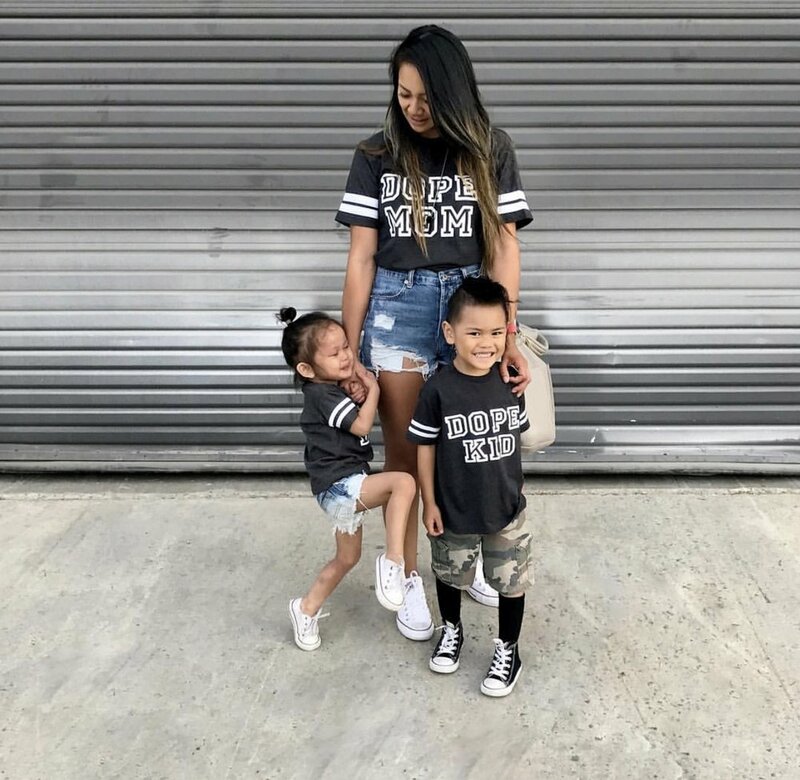 Read on to hear some valuable advice from moms I adore and respect! 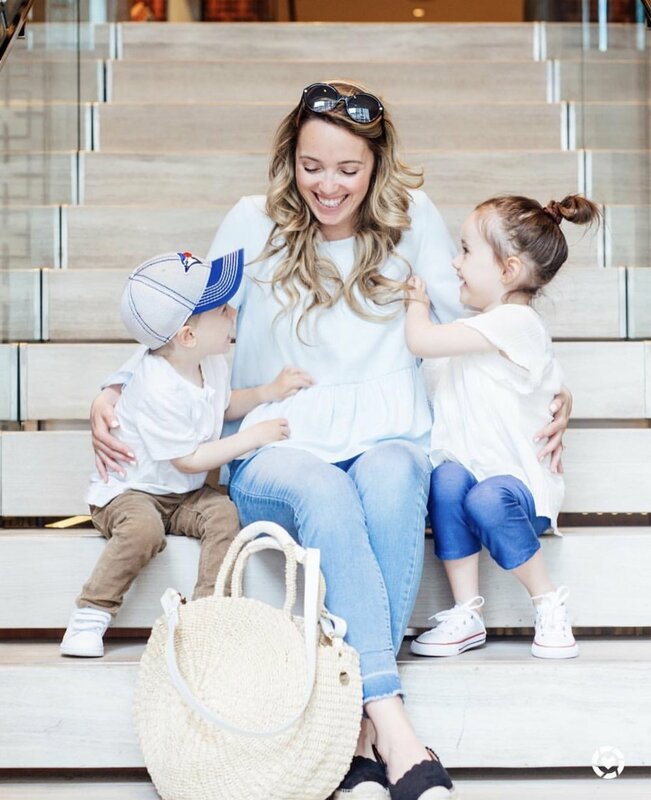 I had the pleasure of meeting Amy when she was in Toronto last year for an event and she is exactly the cool mama she portrays herself to be on Instagram with her two little boys. I just love her! I recently virtually met Katusha on IG and instantly fell in love with her feed! 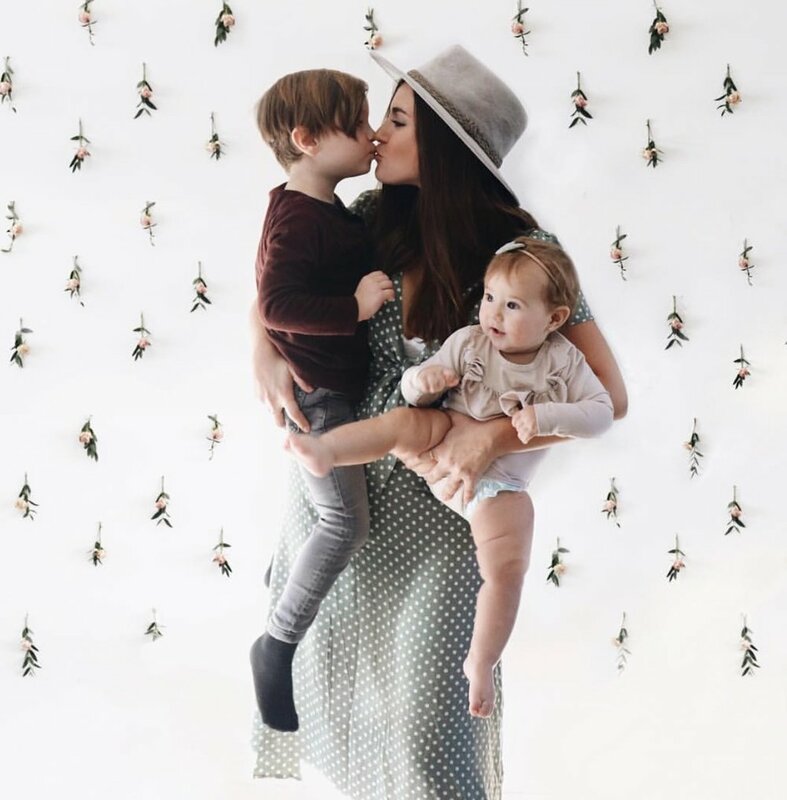 From interior design inspo to pics of her two beautiful daughters, I couldn't get enough! 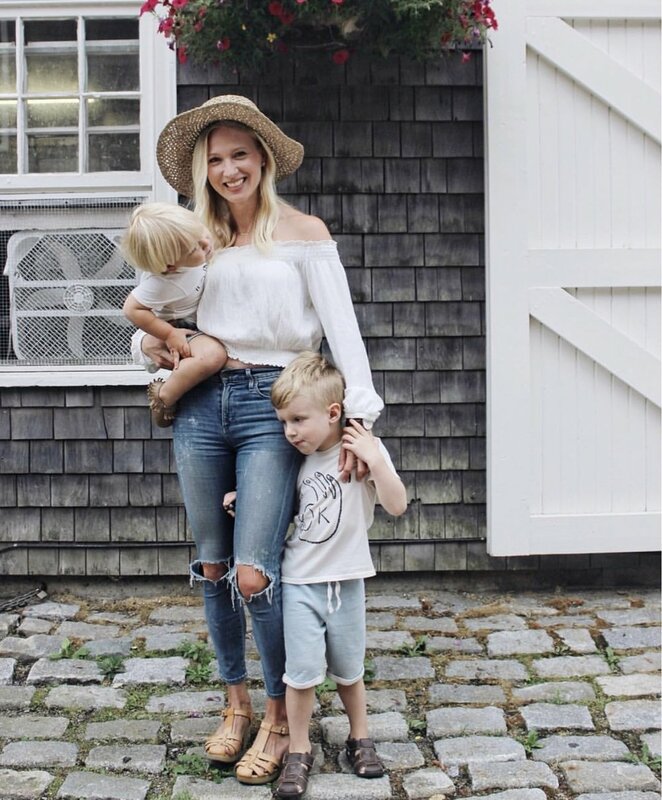 Hands down one of my fave mamas to follow on the gram! I should also mention she designs the most adorable accessories from kitty cat wristlets to unique baby gifts. You gotta check out her line if you haven’t already! “When baby number two arrives your body is still in pain and trying to recover. You’ve been slapped in the face with nursing all night and are utterly exhausted. You’re so in love with the new bundle yet your other baby is craving your attention and going through change, and you will miss the one on one time with them. You will likely feel guilty for not being able to focus entirely on each child. My advice is to ASK FOR HELP, as much help as you can get! · Plan to have the grandparents over to spend those first days with your eldest — spoiling them with attention and making sure they are happy. You will be able to focus on your body, your new baby, and feeding. · Extend the daycare hours for your first if you have the means. · Make sure your hubby takes time off. Don’t be afraid or embarrassed to ask for help. You will need it. Embrace it! And take those first days slow. With my first baby I was out for brunch on day 3 (after a third degree episiotomy). I was on cloud nine and didn’t take the time I needed. This time around, I was in bed for the first few days. I really wanted to heal properly and spend as much one on one time with my new baby. Don’t be afraid or embarrassed to ask for help. You will need it. Embrace it! And take those first day slow. With my first baby I was out for brunch on day 3 (after a third degree episiotomy). I was on cloud nine and didn’t take the time I needed. This time around, I was in bed for the first few days. I really wanted to heal properly and spend as much one on one time with my new baby. Thanks Daneta for sharing – you’re the best! This is definitely a common thing I’ve heard from so many mommy friends! I am lucky enough to say that I have had many opportunities to get to know Zehra off the gram and face-to-face instead! She is one of the sweetest mamas and is definitely not afraid to lift! "You're body is going through so many changes. Sometimes we don't actually realize what that means. Learn to listen to your body, and try the give it what you feel it needs. Rest, activity, certain foods. Also I always say to my clients, it took your body 9 months to grow a human and your body has changed. Give yourself that much time after to recover and get back to a place where you feel comfortable. It might not be where you were before, but learn to live the new you!" There you have it - words of wisdom from some of my favourite IG mamas. I mean, they all look like they are managing the chaos pretty good, right? I realize that there is no manual when it comes to motherhood and a lot of it is mother’s intuition. At least that’s what I’m telling myself. And for the record, I am pretty certain I am not going to be “sleeping when the baby sleeps” because I will have my little Harper to tend to. I guess that’s when another cup of coffee is needed. They say going from one to two kids is the hardest, but honestly the best part about all of this is that our kids will never judge either way; so whether I have used dry shampoo for the third day in a row or if I have to breast pump while playing house with Harper and the baby is napping, all that really matters is that we love both children with every inch of our heart and soul!